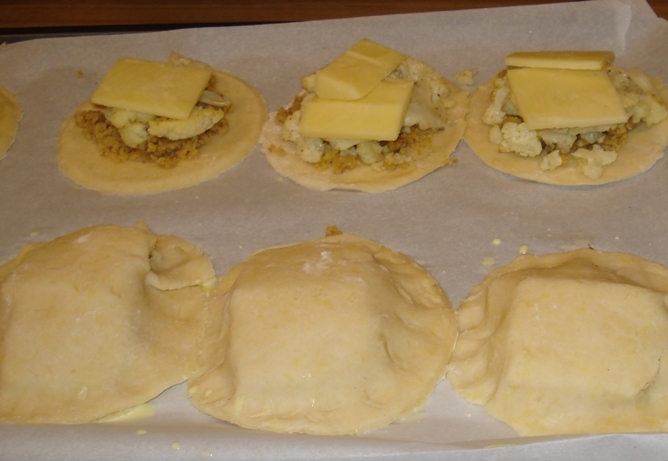 My Mom and I made Martha Stewart’s Roasted Cauliflower and Manchego Hand Pies as a test for a dinner party. The menu will be vegetarian. 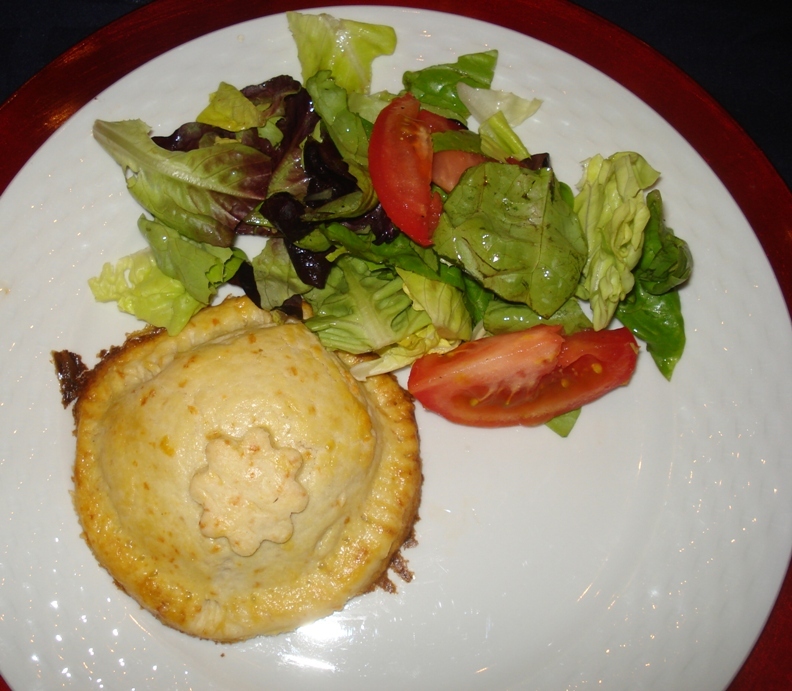 This recipe appealed to me as a vegetarian entree that could be satisfying for meat eaters. Also, it seems that many of the components for this can be made ahead. The crust has an egg yolk and Parmesan cheese in it. It had a different feel than pie crust I normally use. I was a little concerned because I am fussy about pie crusts but it tasted great. It was flavorful, flaky, and held up well. 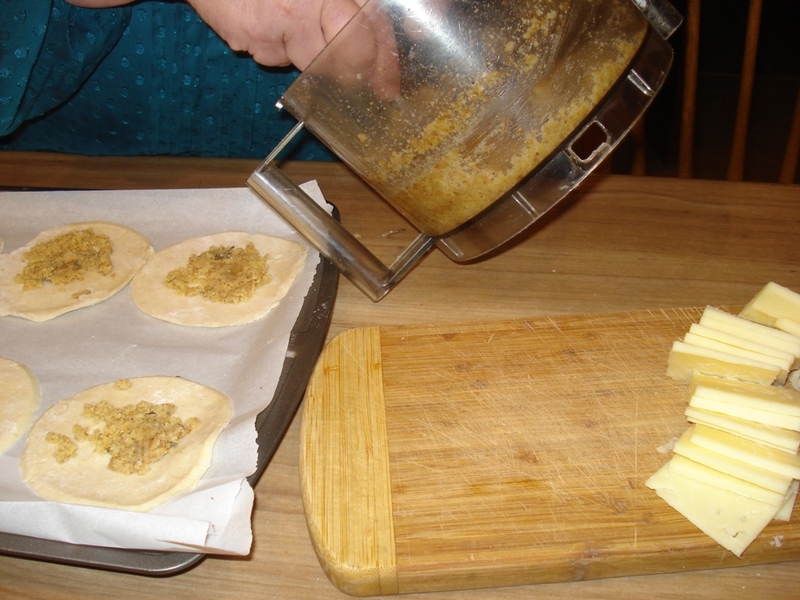 Note: For the filling I used walnuts and sharp cheddar instead of hazelnuts and Manchego. For the crust, the recipe called for Manchego or Parmesan. I used Parmesan. Verdict: They were delicious and would be suitable for my dinner party. 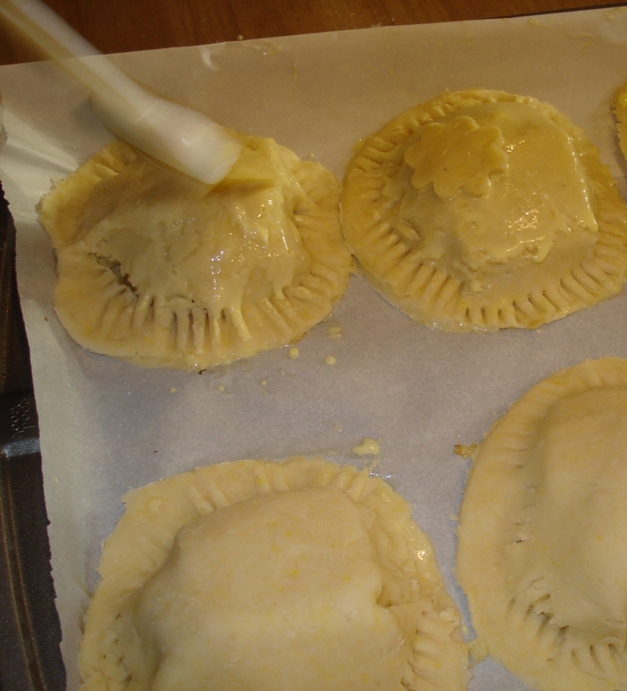 Because they are filling, for a dinner party with several dishes, I would make the pies 3 inches instead of 4 inches. Of course they are not as beautiful as the ones styled by Martha Stewart’s staff but mine are attractive. I think I can improve their look the next time I make these. I came for TAST, I leave with taste! These little pies look delicious and I am always looking for a way to use cauliflower besides raw dipped in ranch, or the one cooked recipe I use. Hope your dinner guests enjoy them!